Easy to install, with no Wiring, nut one plug-in door chimes are truly the height of convenience. Great for remote locations or noisy environments, these chimes ensure that visitors won't be missed no matter where you are in the house! . White receiver with built-in strobe light can be plugged into a convenient wall outlet and will blend no matter its setting – making it ultimately versatile; ideal for hearing impaired or noisy environments so no visitor will be missed . Strobe flashes on all audible tones – 8 note Westminster or two different 2-note sounds . Extra la224rwh receivers can be added to see/hear chime in additional areas of home . Expandable up to 3 doors TOTAL with purchase of two additional wireless pushbuttons . Chime plugs into any 120 volt AC electrical outlet . 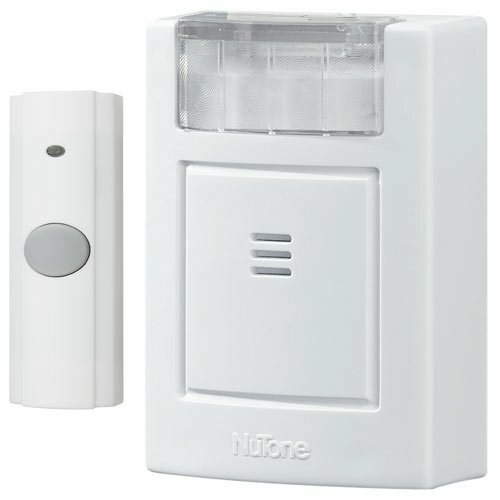 White rectangular shaped wireless pushbutton included that uses one 3-volt Cr2032 battery (also included) . Active transmitter pushbutton and receiver chime “learn" process prevents interference with other wireless products . Wireless range can vary from 20 to 125 feet depending on your home’s construction. Wood and vinyl siding are ideal; metal or masonry decreases the range . Product depth: 1-5/8" . Product height: 4-1/2" . Product WIDTH: 3-3/4" . One year limited warranty. If you have any questions about this product by Broan-NuTone, contact us by completing and submitting the form below. If you are looking for a specif part number, please include it with your message. OSHA Compliance for General Industry Manual - From understanding to implementation - your single source for real-world OSHA compliance guidance. J. J. Keller & Associates, Inc.
SCK119 Digi-Day Electronic Scoreboard,"THIS PLANT HAS WORKED DAYS WITHOUT A LOST TIME ACCIDENT - THE BEST PREVIOUS RECORD WAS DAYS - DO YOUR PART! HELP MAKE A NEW RECORD"